1. Take Advantage Of The Search Engines. Submit your site to search engines. There are those that offer services free of charge. You can submit to Google, Yahoo, Bing, and other trusted search engines. You can submit with an interval of 3 to four months. Try a redirection, if you cannot submit the real URL. 2. Do Some Reciprocal Linking. This is one of the best ways to lead viewers towards your website. In this method, you exchange link with other websites. That way no site is disadvantaged. To find sites, you can again use the search engines. This is also one of the most productive ways to promote your website. However, they do not bring much traffic. Choose wisely when deciding banner ratios. Some sites are also offering paid banner submission. Decide on the matter cleverly. Select the ones with good traffic to influence your traffic as well. 4. Write Articles And Press Releases. People want to read news and tips more than reading ads. Moreover, a good number of articles and news releases with your website as footer is a promotional tool. Submit them to high-ranking sites in order to market your site. Always use the same on your site especially on the index page. The essence is that when search engines add up your homepage to their database, what they will look for is a special tag with keywords and description of the page. Give your title, description and keywords to make it easier for the search engines to locate you. Millions of online ads programs are available in the net. Choose a category where your site belongs and add your site. Resubmit every 2 months to update them. Use signatures which are linked to your websites. You can use these signatures when posting a reply in forums, chat rooms and guest books. This is also a productive way of promoting. All you have to do is to find and join webrings which are similar to the topics in your site. They will bring in slow but stable traffic. Promotions like discounts can be a tempting strategy that can boost both your traffic as well as sales. 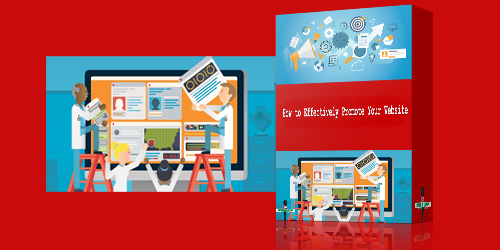 0 responses on "HOW TO EFFECTIVELY PROMOTE YOUR WEBSITE"